Police opened a case over premeditated murder. 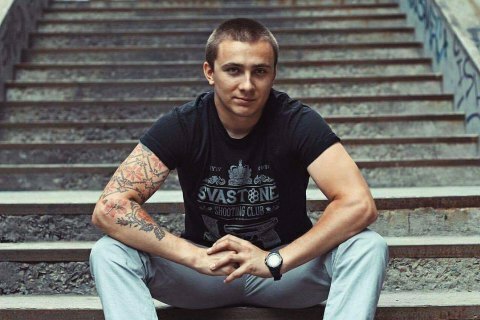 A former head of the Odesa branch of the right-wing Right Sector movement, Serhiy Sternenko, was attacked on the morning of 1 May, he said on Facebook. He was shot in the neck from a traumatic pistol near his house in Sehedska Street. Despite the injury, Sternenko chased his attackers and detained one of them. The press service of the regional police said that both attackers had been detained by 11.23 a.m.
Sternenko was attacked in February. He was involved in protests against the urban development of the area known as Odesa's Summer Theatre. He was detained and granted bail of 608,000 hryvnyas. The bail was deposited by the head of the Odesa regional state administration, Maksym Stepanov. Sternenko was later released on personal recognizance. He was later detained on suspicion of drug dealing. He was also a suspect in the criminal case on the abduction of a local district councilor and former local head of the pro-Russian Rodina party, Serhiy Shcherbych, in 2015.